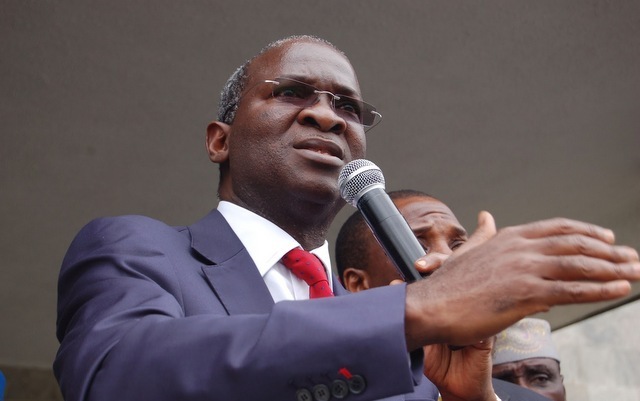 In this report, MUYIWA OYINLOLA examines the issues that led to the invitation of Minister of Power, Works and Housing, Babtunde Fashola, by the House of Representatives. The House of Representatives yesterday constituted an ad-hoc committee to invite the Minister of Power, Works and Housing, Babatunde Fashola (SAN), but many had seen it coming considering the current face off between the minister and the National Assembly. Fashola, according to the House is being invited to explain what it termed breach of privilege and alleged inciting the people against their representatives, over his comments of the Appropriation to the ministries under him, in the 2017 Budget. Recall that the euphoria that greeted the assent giving to the 2017 Budget by Acting President Yemi Osinbajo (SAN) last month was short lived as the he (Osinbajo) barely 24 hours after declared that the National Assembly lacks power to tinker with budgets when presented to her by the Executive. According to him, it is unconstitutional for the lawmakers to tinker with budgets when presented to them for approval. Hence, they have no power to introduce new projects or modify those contained in an appropriation bill. Shortly after the acting president had fired the servo, the minister raised the alarm over an alleged insertion of projects outside the purview of his ministry in the 2017 Appropriation Act, by the National Assembly. He stated that the insertion was done after public hearing had been held and its fiscal estimates had been defended by the ministries. Fashola had, in an interview while acknowledging that Legislators could contribute to budget making, disagreed with the practice where the legislative arm of government unilaterally alters the budget after putting members of the Executive through Budget Defence Sessions and Committee Hearings to the extent that some of the projects proposed would have become materially altered. While acknowledging the need for legislative input from the representatives of the people to bring forward their developmental aspirations before and during the Budget production process, the Minister had observed that it amounted to a waste of tax payers money and an unnecessary distortion of orderly planning and development for all sections of the country, for lawmakers to unilaterally insert items not under the Exclusive or Concurrent lists of the Constitution like boreholes and streetlights after putting Ministries , Departments and Agencies (MDAs) through the process of Budget Defence. Specifically with regards to the Ministry of Power, Works and Housing, Fashola listed the Lagos- Ibadan Expressway, the Bodo- Bonny road, the Kano-Maiduguri road, the Second Niger Bridge and the long drawn Mambilla Hydropower Project among others as those that the National Assembly materially altered the allocations in favour of scores of boreholes and primary health care centres which were never discussed during the Ministerial Budget Defence before Parliament. He stated that public hearing and budget defence were some of the reasons why the budget was not signed on time. While speaking further, he noted that: “Everybody is complaining about power supply but they also cut the budget for Manbila power project and the Bodo bridge that connects the Nigeria Liquefied Natural Gas Station was also cut and all these were also discussed. According to the former Lagos State governor, it is unfair to Nigerians after public hearings were conducted with tax payers’ money and consultations with the lawmakers only for the budget to be altered, cut or padded. He stated that apart from the 200 uncompleted roads he inherited from the previous administration, the lawmakers added100 roads. “These roads are not federal roads and some of them do not have designs, how do we award roads that were not designed irrespective of the power you have? It is unconstitutional for the National Assembly (NASS) to legislate on state roads. Fashola’s comment has since drawn the ire of members of the National Assembly, especially those in the House of Representatives, which yesterday summoned over what it termed negative comments on the National Assembly over the 2017 budget. 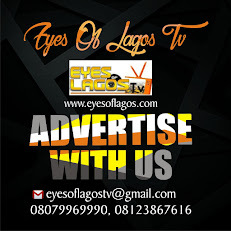 In its reaction to Fashola’s comments, Chairman, House Committee on Media and Public Affairs, Abdulrazak Namdas, had in a statement noted that”. “Mr. Fashola claimed that the National Assembly included many projects that were not agreed on during the Budget defence before the Committees; that the Budget Lagos-Ibadan Expressway was reduced from N31 billion to N10 billion; that 2nd Niger Bridge budget was reduced from N15b to N10b(actually N12b to N7b); that about N3 billion or so was removed from Okene-Lokoja-Abuja Road; that the Budget for Mambila Power Project was also cut. “He further claimed that some of the roads introduced into the budget had no designs and that items like primary healthcare and boreholes were introduced into the budget of the Ministry which are State matters. Mr. Fashola further said that the National Assembly has no powers to increase or tinker with the budget. However, while dismissing the allegations in the course of an official trip outside the country, Fashola said it was sad that the lawmakers would resort to name calling even without understanding the facts of what they were getting into. Taking the projects which the lawmakers chose to focus on one after the other, the Minister, in a statement issued by his Special Adviser on Media, Hakeem Bello, insisted that there is no subsisting concession agreement on the Lagos – Ibadan Expressway, adding that what the Infrastructure Construction Regulatory Commission (ICRC) has is a financing agreement from a consortium of banks which is like a loan that still has to be paid back through budgetary provisions. While commenting on the current face-off between the executive and legislative arms of government, a lawyer and a former Chairman of the Lagos Branch of the Nigerian Bar Association, Mr. Chijioke Okoli (SAN), in a national newspaper comment described the National Assembly’s act of increasing the budget estimates submitted to it by the executive arm of government as anomalous, saying the legislature had no business introducing new projects into the budget. He also challenged the executive arm of government to approach the Supreme Court for a definitive interpretation of the relevant provisions of the law, stating that “What we have in Nigeria is anomalous situation where parliamentarians see themselves as executive officers; it does not happen anywhere”. “In the United States of America, where we copied this from, what obtains is that senators and representatives bring to bear their influences on the executive to have the projects they are interested in in their constituencies, put in the budget. “Prof. Ben Nwabueze, who is an authority in constitutional law, has taken that point before and said the legislature had no business tinkering completely with the budget. They can say ‘this price is too much’. They have no business in introducing new projects; that is an executive function.